DPC Spot isn't accepting any new customers at the moment. The development and customer support team is currently working on a huge and exciting new undertaking: an all-in-one software for DPC. After having conversations with dozens of DPC Spot customers over the past 18 months, we've decided that the perfect software platform for DPC doesn't exist yet—so we decided to build it. Learn more at https://bagel.md or stay updated by joining our Facebook group! Check "website" off your list. 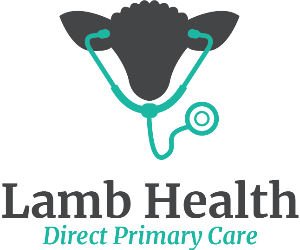 We make it easy to make a website for your DPC practice. Our sites are hand-crafted for DPC practices. Here's a shocking statistic: 100% of medical schools don't offer classes in web development. So let us handle it, so you can focus on providing great care. Our templates are hand-designed for DPC practices. They're built with modern web technology, they're search-engine optimized out of the box, and they integrate with Atlas and Hint. Check out our sample website by clicking the button below. Everything is customizable. You can sign up for a monthly or yearly plan. It's easy to stop and start your service at any time. Yes, we offer a 20% discount on upfront annual commitments. Do I need another service to do hosting? No, our plans include fully-managed cloud hosting, ensuring your website is available at all times. Can I export the code for my site? No. Similar to Squarespace, DPC Spot sites are built on a dynamic rendering engine. Each page of your website is rendered on-the-fly using the information you provide through the dashboard. There are no "website files" that we can simply export. Is there a way to see my website before I pay? Yes! You won't pay anything until you have seen and are satisfied with a full version of your website. Yes! We use a PCI-compliant service called Stripe to handle payments (the same service used by Atlas and Hint). Canceling is dead simple. Email us at team@dpcspot.com and we'll terminate your service immediately. No, but we're happy to help you do so, free of charge. You should ALWAYS maintain ownership of your business's domain name—don't let a third party purchase it on your behalf. We strongly recommend Google Domains, it's the best registrar by far. Just go to domains.google.com and search for the domain you want. No, but we're happy to walk you through the process, free of charge. What if I already purchased a domain? No problem. We can connect your existing domain to the website we create for you. However, we will need to modify some configuration settings to do so. The easiest way to do this is for you to supply your account credentials for the domain name registrar you used to purchase the domain (Google Domains, Namecheap, Hover, GoDaddy, etc). You can provide this information securely via the dashboard. If you're not comfortable with supplying your credentials, we can walk you through the process of modifying the settings yourself. Click the "Get Started" buttons above. You'll immediately be presented with the DPC Spot dashboard. At the top of the page you'll see some simple instructions for getting started on your site. Send us a message here and we'll get back to you promptly.